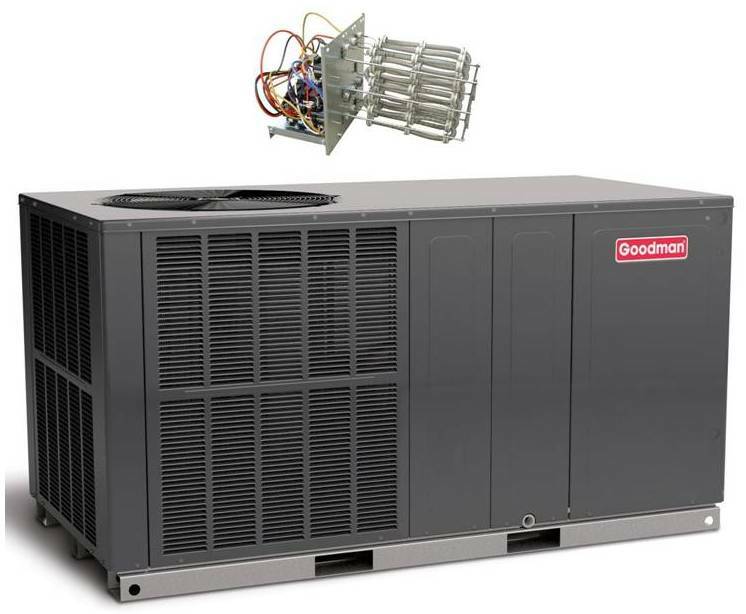 The Goodman GPC14H Packaged Air Conditioner features energy-efficient cooling performance in one self-contained unit. The GPC14H is housed in a heavy-gauge, galvanized-steel cabinet protected by a high-quality, UV-resistant powder-paint finish. This unit allows for ground-level or rooftop applications, and is approved for manufactured or modular homes. *All units with installation have our special price. Basic installation price is show in each unit. Exclude city permit, roof, crane services. Installation price is available for local customers from Miami Dade County to Broward County only. Please check with us before any job if you do not live in this area or your job is more complex. Prices are subject to change without notice.